Anyone who has watched Color of night will know that Yi Lian Kai has another name Lan Po (兰坡) which Qin Sang and he himself normally uses. And if you’ve watched episode 5, Yi Lian Shen has another name too Yun Xi (云溪) which he uses to address himself. But why? Is it simply a nickname? Is there a deeper meaning to it? In the Han Chinese (which is the biggest ethnic group in China) have always had two names. Their “Ming (名)” and the “zhi(字)” which nowadays are combined together to form the phrase “name” in modern day chinese. But before 1949, before Mao Zedong declared China as a communist party, the use of having two names a ming and a zhi was common. The reason for doing this is due to respect for the other person as names were seen as an important part of a someone’s identity and should be respected. Often once a child is born, they would be given a nickname or 乳名before their official name os created. But before they reach the age of 3 months, their parents would give them a personal name. This is the name they will use to call themselves, their parents, what their teachers and peers will call them before they reach their coming of age ceremony. For boys it is 20 years old and for girls it is 15. During that ceremony, their parents will give them another name which other people would call them except their parents who would continue to call them via their “ming”. But before the Tang dynasty, not everyone was allowed to be given a “zhi” or courtey name which only people with a certain social status was allowed to do so such as the family members of government officials, royalty etc and it was literally a sign of what social status you were at. Commom people were not allowed to give themselves a “zhi”/courtesy name. 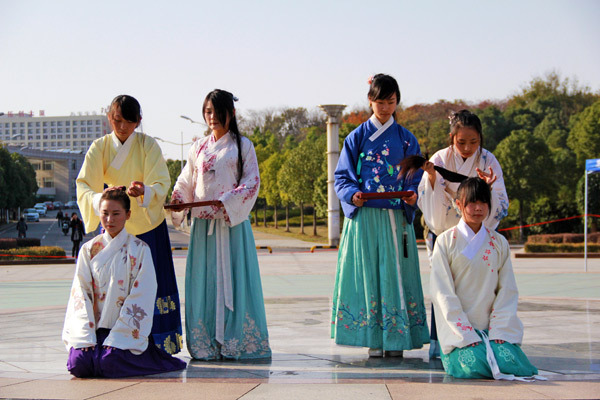 coming of age ceremony for girls: They get given a name, hairpins are inserted into their hair and they are officially allowed to marry after this ceremony. Before this ceremony, girls are not allowed to put hairpins in their hair and they wear their hair down. During the Tang dynasty, more and more scholars were drafted into the Imperial Court to become government ministers and therefore more and more people earned the right to have a “zhi” and afterwards, it became popular and was used by many people. Some people not only had a “ming” name and a “zhi” name but they also created names for themselves for example the famous chinese poet from the Tang Dynasty, Li Bai. His “ming” personal name is Bai but his “zhi” name is Tai Bai. But he also had a name he created himself called “The scholar of Qing Lian”. But perhaps the person who has the most names was the Emperor as he was the Son of Heaven and therefore it was extremely rude and disrespectful to call the Emperor by his name even if it was in writing and therefore they would have an extra name called a Shi Hao (諡號) that was given to the Emperor before he ascended the throne by a special ceremonial minister. 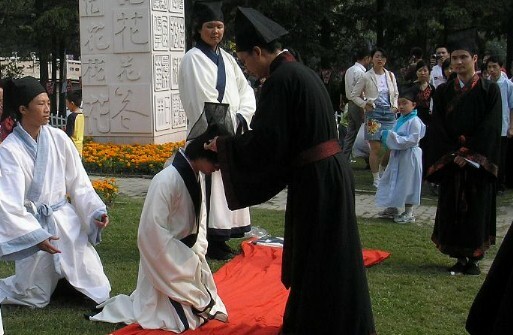 For example the Emperor Xuanzong of the Tang Dynasty whose personal name was Long Zhi which no-one wqs allowed to use after his ascension to the throne, but he had a name that could be used by his elders called Xuanzong but he was most commonly known as the Illustrious August which scholars could use to avoid being disrespectful to him. As Yi Lian Kai lived during a time when the use an additional name was still in commom use and the fact that he was the son of a warlord, it’s natural that he and all his brothers would have a zhi name. Her immense beauty cannot be covered up by rouge, arrogantly knowing she is more beautiful than the other women and female performers around her. In that year endured countless cold stares and mocking tones yet she does not care for those but why does her husband hurt her too? Only when she lost everything did she know who truly cared for her. It is lonely and only she could cheer herself up. Remembering the rumors that she was disloyal to her husband, to prove her innocence she could only retreat. Even if you are the only sober one there is danger all around, looking around prejudice is everywhere. This morning the road ahead was narrow and I run into the one I dislike. Although I hold incense in my hand but I do not envy him, the newly elected imperial affairs advisor. On this abandoned slope lies the woman who understands me most, but from now on we are separated by life and death. 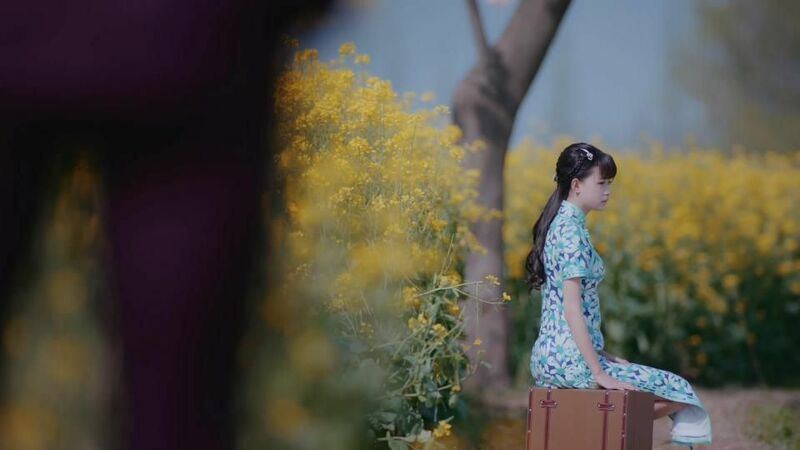 *spoiler* It’s later revealed that Yi Lian Kai’s mother did in fact die because she was accused of having an affair and his father abandoned her, leaving her to the mercy of his other wives/ concubines who did not treat her well. 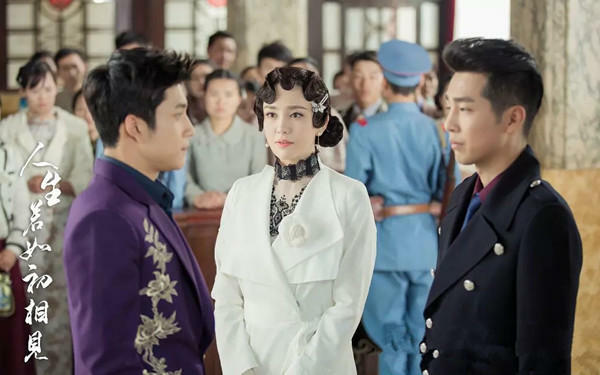 In the end she passes away whilst waiting for Genera Yi to prove her innocence. So I think the author gave him this name for a reason. In chinese all the personal names of the brothers of the Yi family share the first character of their name but whilst the “Kai” in Yi Lian Kai’s name and the “Yi” in Yi Lian Yi’s name both mean happiness, however the “Shen” in Yi Lian Shen’s name means to be wary of/ to be aware so it’s clear that the author was planning from the start that the 2nd brother Yi Lian Shen would be the antagonist of the novel. Wow, thank you so much so making all this efforts just to explain to us who never knows any Chinese culture. You even supply us additional information like the poem. Now, I think the author are really genius for making a story with such deep meaning even in just a name. Thank you for always helping us by translate all the episode. It’s must be hard you to translate those while in pressure from us. I’m always supporting you, sweetheart. The Lian Po poem is so beautifully described. Even from the poem itself can already see the tragicness of the story. And not only the character person who named the child but also the child himself. And yes totally agree that the author has gone through quite a thought process in naming the characters. Thanks for wonderful translation and explanations! Xie xie ni. You are such a gem for painstakingly explaining their names and it’s meaning including cultural and historical references. Much appreciated. Thank you for the information about Chinese names. Really helpful. Yes this is so helpful to understand the Chinese names in this drama :). Thanks so much for the translation. OMG you’re a sweetheart !! Thank you so much for the explanation … chineese is such a beautiful language and it has deep meanings… Merci beaucoup ! !